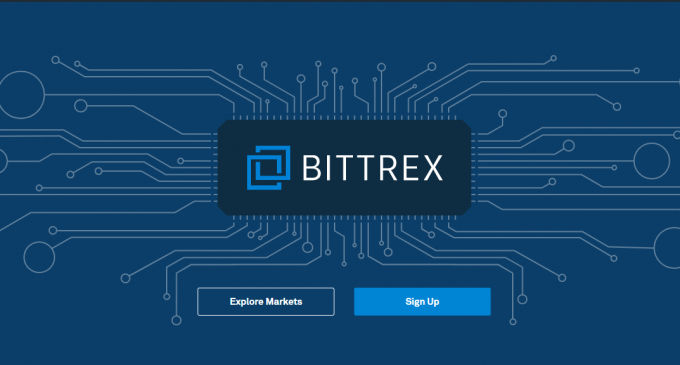 Bittrex is an online trading platform, founded in 2014 by three cyber-security engineers. Bill Shihara, Richie Lai, and Rami Kawach had set up the company that had become one of the most important in the industry of cryptocurrencies. Since it’s beginning, the platform had focused on providing high-quality services, fast trade execution, dependable digital wallets, and high-level security features. Its strategy called “multi-stage wallet” ensures a safe environment for customers by keeping all funds in cold storage. There is also a commitment from the company to comply with any regulatory measures implied by financial regulators. Overall, it is a good exchange platform for users searching for diversity, high security, fast execution and good support from the company. Coin types: Bitcoin, Ethereum, Tether, Ripple, Neo, TRON, Monero, ZCash and many others. Verification process: need to submit an ID and a proof of address. In order to deposit fiat money, all clients must submit a bank statement. Geographical restrictions: Clients from any country are allowed, except those from the countries embargoed by the United States. A strong and enhanced level of security. A fast signup and verification process. A great exchange platform for those people doing arbitrage trading. A fixed trade fee (0.25% per trade) with no discount for traders wanting to exchange a higher number of coins. Fluctuating liquidity, sometimes below average. During these periods transaction processing can take up to 10 minutes. Margin trading not allowed. A big minus for users with smaller accounts who want to trade bigger amounts. Bittrex is an online exchange platform that has a few years of experience in the industry, offering a variety of exchange services to its customers. Because it had been created by three cyber-security engineers, it’s strongest points are related to security (2FA feature, cold storage, multi-stage wallet strategy) which gives customers the trust that their funds will be in a safe place. The platform had been steadily increasing its activity over the years, including more and more new coins, which means users are able to have access to a big number of cryptocurrencies. The first US-based blockchain trading platform. One of the best places to buy Bitcoin, Ethereum, and Tether with fiat and trade a big number or cryptocurrency pairs.